Tuition has been frozen for the 2018-19 academic year, which means that Canadian students at the University of Alberta will be paying the same for school as this year. The tuition freeze this year comes with backfill funding, which means the university won’t be facing revenue losses. Because of inflation, the university faces a 2 per cent cut if tuition if frozen without government funding, which is what happened last year. At his announcement at MacEwan University on November 30, Minister of Advanced Education Marlin Schmidt said he hopes students will “appreciate the savings.” Undergraduates in science and arts programs at the U of A can currently expect to pay about $5,300 in tuition. 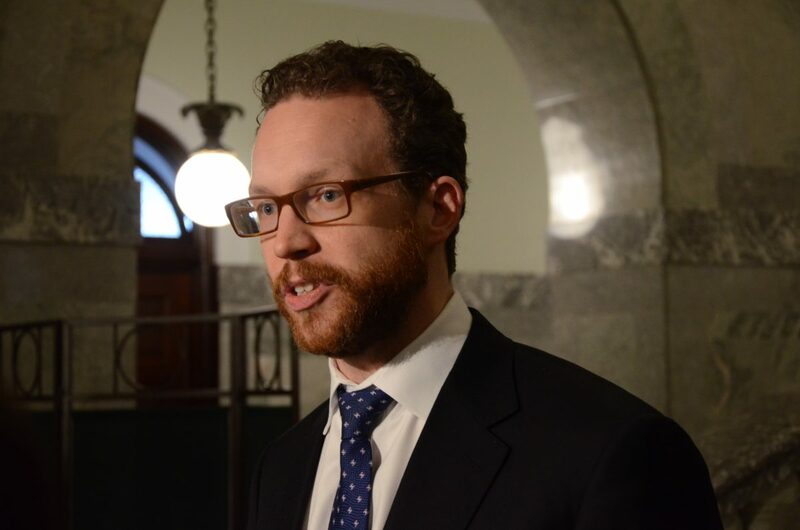 “Even though (Alberta) doesn’t have as much money as it used to, but even in the worst economic downturn of a generation, our government has emphasized spending on education,” Schmidt said. Schmidt said that this year, the New Democratic Party was able to “come up with creative ways to move around funding” and offer backfill support to universities. More details on the budget will be released in 2018, when the provincial government releases its full budget. “Everybody should rest assured that the money is there,” he added. This year’s 2 per cent budget cut made the U of A anticipate the loss of about 200 to 400 faculty and staff jobs. Next year, a 4 per cent cut is planned. Schmidt said that his government has increased the U of A’s funding to support post-secondary, but that it’s also important to not let costs increase at the rates of the previous Progressive Conservative government. “(The Tories) were spending wildly and freely and our government is taking a much more reasonable approach to providing operating revenue to universities,” Schmidt said. In 2017, the University of Alberta received a $663,695,000 operating grant from the NDP government. In 2014, the last full year of the Tory government, the university received a $608,755,000 operating grant. Executives of the U of A Students’ Union said they were happy to see the freeze come with backfill funding. While domestic students can now budget safely for tuition next year, international students are still left in the dark. International tuition has risen by 7 per cent in the three years that domestic students have been enjoying a freeze. Currently, international arts and science students pay about $21,000 in tuition. Schmidt said that international student can expect to hear about their tuition when the government’s tuition policy is released later this year. The tuition review was previously being expected to be released this fall. SU vice-president (academic) Shane Scott said that the SU is aiming to bring international tuition into regulation so that non-Canadian students can make long term plans in their studies. While no formal proposal for international tuition has been put forward, the university typically uses the academic price index (API) to calculate increases from year-to-year. API rises at about 6 per cent every year, or double that of Canadian price index.